Amusement Masters is proud to bring the DC Digital Photobooth into our corral of photo novelty offerings with social media integration! ‘DC’ is Digital Centre, which for our clients means this photobooth can be a digital center for the event. 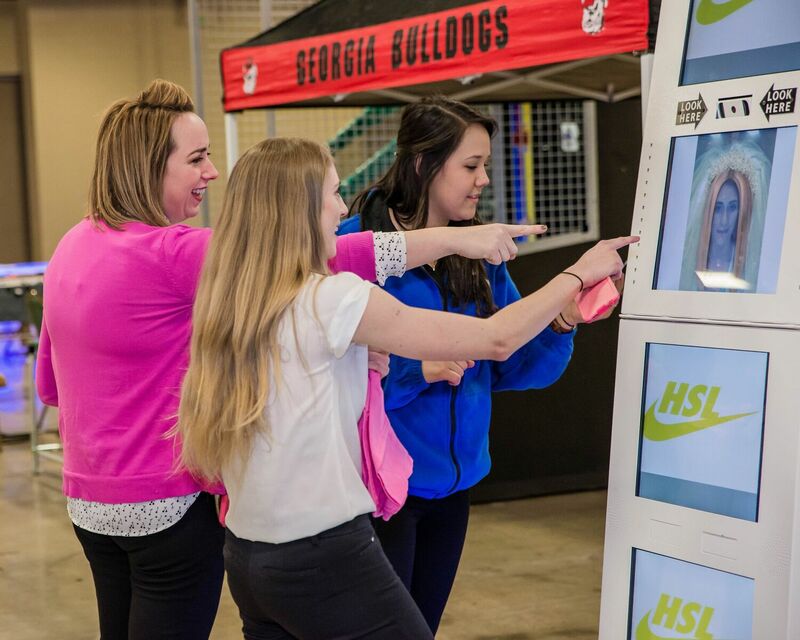 Photobooths are almost a necessity and very popular at events in our current digital environment. Everyone wants to put their best photo forth on social media platforms and they want to do it in as close to real time as possible. This piece of entertainment technology allows that, and without the annoyance of holding one’s phone and angling it for the perfect ‘event selfie’. The DC Digital Photobooth provides a pro-like photo with the perfect lighting for each and every guests that steps in front of it’s camera! 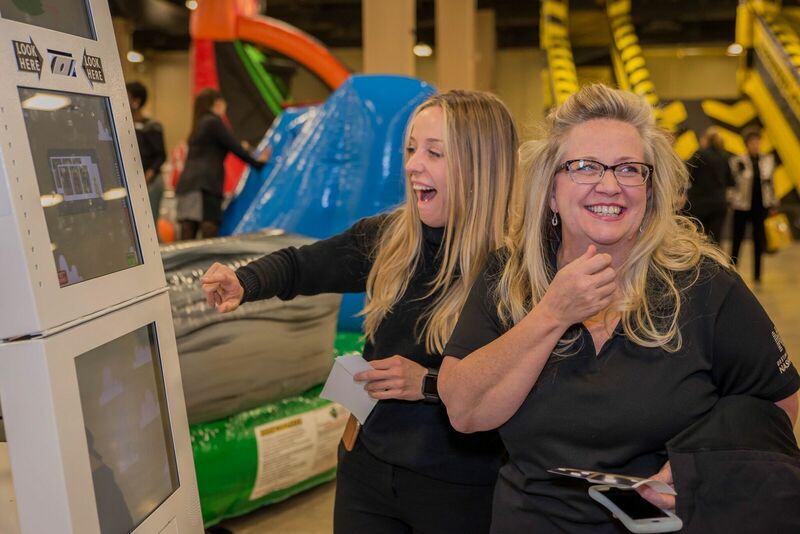 The strip photobooth can accommodate photos of anywhere from 1 to 50 people, including custom screens and strip designs with the event image – it’s completely customizable to your company brand or event theme. The booth allows for sharing of photos and even video messaging that can be sent out through event guests favorite social networks. These features put you and your event guests in control. The unit is also ultra portable which makes for easy location changes. Don’t miss out on booking this entertainment opportunity to the more expensive photobooths or something that takes up valuable floor space without the rewarding returns. Having your event attendees posting to social media directly from your live event can put you on the map and increase your social cred. 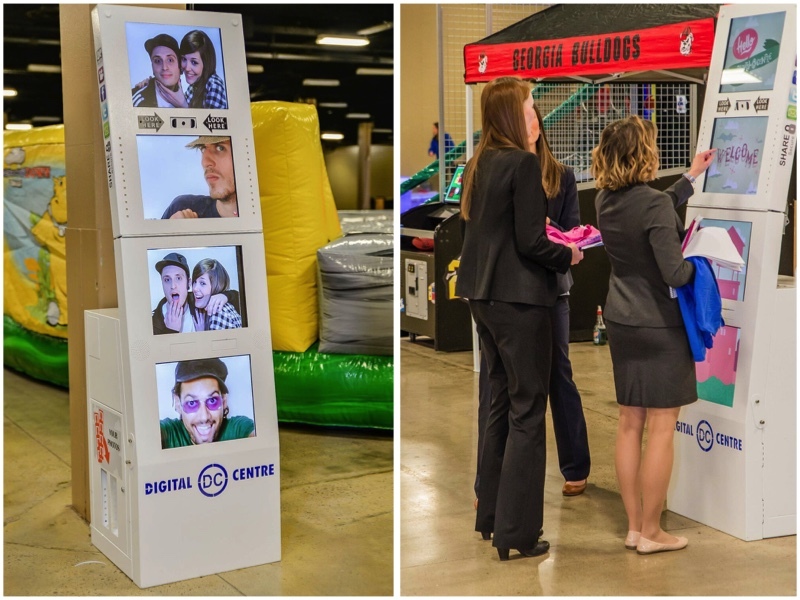 Click here to connect with us for more info on the new DC Digital Photobooths and let us share with you the rewards!